The 3rd-Dec-2018 marks the end of the 34th year of the Bhopal Gas Tragedy, waiting only to add another year to that count as the victims still go through a harrowing ordeal. While dispensing justice may take more time, three decades is sufficient time for us to take a gestalt view of our legal system. The Gestalt theory in psychology argues that the "whole of an object is greater than the sum of its parts". Architects extend this principle to ensure symmetry in construction, implying that the construction as a whole should look better than the appeal of its individual components. The Bhopal Gas Tragedy and the decades hitherto serve as a perfect example for us to take the gestalt view of our legal system. Forty tones of deadly Methyl Isocyanate gas escaped killing hundreds immediately and leaving thousands critically injured. The Indian Parliament passes the Bhopal Gas Leak Disaster Act (Processing of Claims Bill) 1985 taking control over the litigation by becoming the sole representative of the victims. Meanwhile, series of lawsuits by various individuals filed against Union Carbide Corporation before the Southern District Court of New York listed. The preliminary issue before the US court was as to whether the United States court could assume jurisdiction only on the ground that the parent company was an American corporation? The Union Carbide Corporation brought a preliminary motion to dismiss the case before US court. The Indian Government having already assumed the locus through legislation joined the case and argued that the case should be tried in the U.S.
“The Union of India is a world power in 1986, and its courts have the proven capacity to mete out fair and equal justice. To deprive the Indian judiciary of this opportunity to stand tall before the world and to pass judgment…India and its people can and must vindicate their claims before the independent and legitimate judiciary created there since the Independence of 1947. Two years after the tragedy, the “adequacy” & “ability” of Indian courts was yet to unfold. 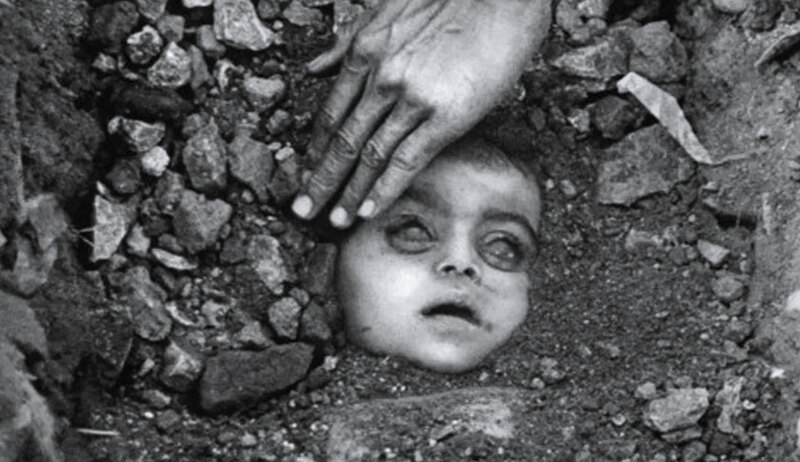 September 1986: the Union of India filed a suit before Bhopal District Court claiming 3.3 billion dollars. The Union Carbide continued to maintain its stance on its non-liability on the grounds that the leak was due to the inefficiency of the local employees and as such the parent company cannot be solely liable when even the government of India owned a stake in the company. When a year rolled by and the trial court was still engaged in the herculean task of pleadings and other pre-trial steps, a request was moved before High Court through revision petition. This was a very crucial development. The Indian Law did not (still does not) provide any provision for awarding of interim compensation. The High Court’s novel suggestion gave a major turn to the case. On 4th-April-1988, the High Court, upheld the order though reduced the compensation to 195$ USD. Typical of litigation in India, this order of the High Court was challenged before Supreme Court. February 1989: The appeal against the High Court order disposed of by Supreme Court accepting a full and final settlement of all criminal and civil liability for $ 470 million as agreed between UCC and government. Apart from Justice Krishan Iyer’s criticism, Justice P.N. Bhagwati rightly pointed out the biggest contradiction in court’s approach-how could the Supreme Court render a conclusive finding when it was only hearing an appeal against the interim order. The Supreme Court had to subsequently review its decision to clarify that the previous order did not settle the criminal side of the matter and therefore the trial was to take place in accordance with the law. The maze of Supreme Court judgments in the Bhopal Gas Leak case is astonishing. The piecemeal approach did not end with the civil liability. Once the Supreme Court clarified that the criminal proceedings will not perish with the settlement, further entanglements occurred. In 1996, some of the accused in Keshub Mahindra v. State of M.P. moved before the Supreme Court for dropping of charges under section-304 (Culpable Homicide). The Supreme Court in its order quashed the charges on the ground that there was no case prima facie suggesting that the accused had knowledge about the incident and thus at the maximum could be tried for criminal negligence under section 304A. The CBI had sought enhancement of charges against the accused industrialist Keshub Mahindra and 7 other accused from Section 304-A to Section 304 IPC based on evidence already before the CJM. The curative review was heard by five judges. The fresh hope given to the victims who moved for revision was dashed when the Sessions Court, on 28 August 2012 had dismissed the CBI’s Criminal Revision Petition No.632 of 2010 against the said Judgment because of it “being not maintainable and barred by limitation”. Despite CBI having sufficient evidence for pressing graver charges, the cause has already lapsed on technical grounds. Adding insult to the injury of victims, the minimal sentence rendered under the less severe charge u/s 304A has been challenged by the accused and the same is pending before a Bhopal Court for over eight years now. The Bhopal Gas Tragedy case despite invocation of most pristine weapons available to Indian courts has yet not reached its most logical conclusion on either civil or criminal side. That record speaks for itself and the need to bring wholesale reforms. Firstly, the need for a codified system of tort law cannot be overemphasized. Thirdly, there is also a need for Indian courts (lower courts) to be sensitized about their role in awarding damages. After all, the last time we heard about a giant corporation being ordered to shell out a million dollars for a private wrong was not from an Indian court. Lastly, there is a need for the Constitutional Courts to re-examine their traditional methods. A recent study titled “Constitutionalization of Indian Private Law" highlights the hazards of celebrating court’s intervention in private law or tort related cases. The law of torts known also as -the law of private wrongs- remains a proud boast of common law tradition. The very basis of this tradition is imposing discipline on individual conduct. To say that the Indian legal system is not evolved enough as its western counterparts is one thing. But to not let the system evolve out of misplaced expectation from Constitutional Courts is quite another. Every attempt of a Constitutional Court to grant remedy in a piecemeal fashion is also for the entire legal system an admission of the inefficacy of the structure and of the subordinate courts--a position least desirable for any legal system. U. Baxi, Inconvenient Forum and Convenient Catastrophe: The Bhopal Case (Bombay: N.M. Tripathi, 1986) at 29.